"It's tax time. Go get your refund!" say the signs in the New York subway featuring a smiling family. 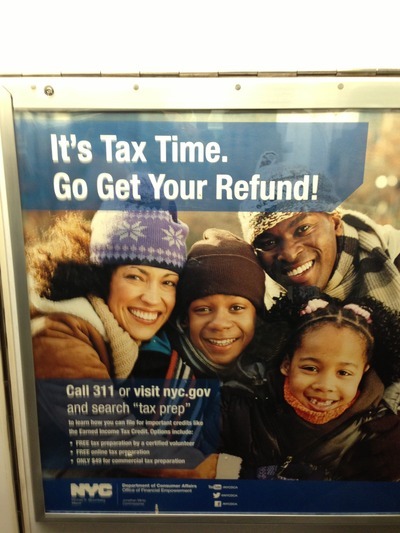 Tax refund sign on New York subway from New York City Department of Consumer Affairs. They are an indication of a big change in the fundamental deal between government and the people, from one in which tax season was an time Americans sent money to the government, to one in which Americans get money, or at least feel like they do. This is the topic of my column this week. Please check it out at the New York Sun (here) and Newsmax (here). 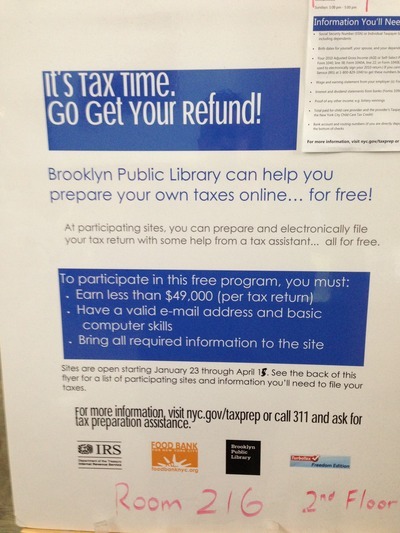 Tax refund sign in lobby of Brooklyn Public Library.